May my lips be a well-tuned harp to sound Your praise. Let those around see me living by Your Spirit, trampling the world underfoot, unconformed to lying vanities, transformed by a renewed mind, clothed in the entire armour of God, shining as a never-dimmed light, showing holiness in all my doings. Let no evil this day soil my thoughts, words, and hands. May I travel swampy paths with a life pure from spot or stain. In every transaction let my affection be in heaven, and my love soar upwards in flames of fire, my gaze fixed on unseen things, my eyes open to the emptiness, fragility, mockery of earth and its vanities. May I view all things in the mirror of eternity, waiting for the coming of my Lord, listening for the last trumpet call, hastening unto the new heaven and earth. From a Massachusetts manuscript @ 1705, author unknown. As the summer beings, you may notice a great deal of work being done in and around the church. We will be getting new carpet in the Commons and other parts of the church. The outside of the old Sanctuary, including the steeple, will be repaired and painted. One of the spaces that will have the most noticeable work done will be in the old Sanctuary. We are currently drywalling and repairing cracks in the walls in preparation for painting. We will be replacing the carpet in the sanctuary as soon as the painting is complete. All this is an effort to make the old Sanctuary a better place to worship and host other activities. 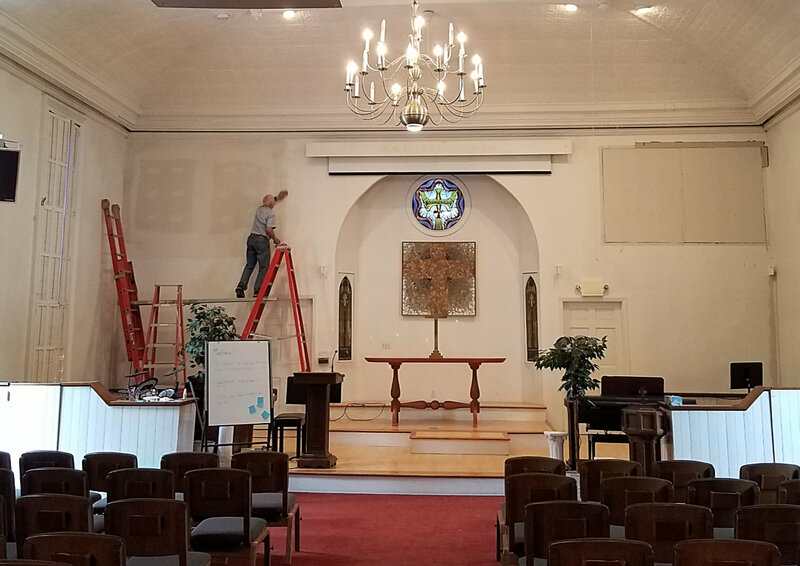 One of the other preparations was to remove the old Sanctuary organ and patch the holes in the walls left by the speaker system. Now, a church a few hours from us will be using the organ in their weekly worship services and we can better use our space. We will also be replacing the old keyboard and piano with a new keyboard. We ask you to keep all these repairs and updates in your prayers so that they not only go smoothly, but they bring glory to God in new ways. One final note is that if you know anyone who is interested in buying the old keyboard or piano, have them contact Kevin Ware. 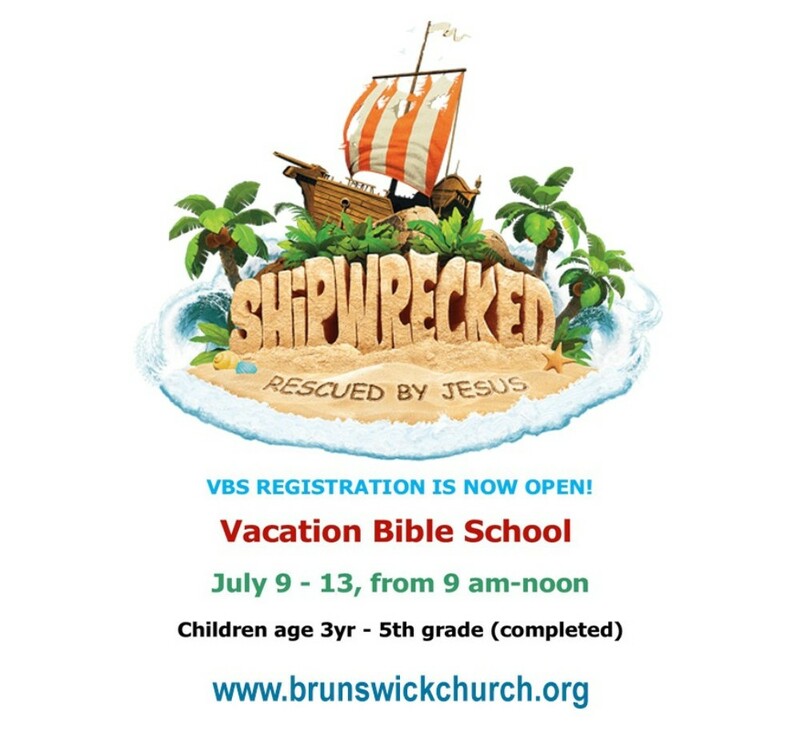 If you have any questions about any of these efforts, please call or contact Pastor Henry. As you may have heard, our new website is available to you. As with anything new, we will be tweaking and updating things as we determine what will best serve those who use the site. 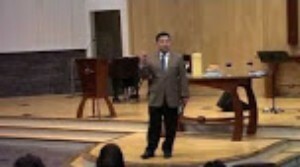 In last week’s sermon, Pastor Henry extended the invitation to the congregation to share your feedback with us. We appreciate your suggestions and will be happy to answer any questions you may have. The team is hard at work discerning our path toward extending a call to an associate pastor in the future. We were blessed with Pastor Elizabeth, so their work is cut out for them, but this team is up for the challenge. We will receive updates as their work progresses, and there is info to share. In the meantime, keep these team members in your prayers, for wisdom and vision. Women interested in joining a study? The Monday night Women’s Bible Study group is currently studying Romans, using Max Lucado’s Life’s Lessons study guide. “In this profound epistle, Paul explores all the wrong options and takes us to the only correct one.” We will be meeting every other Monday from 7 pm to 8:30 pm in the Worship Arts Studio (see the calendar on our website for specific dates). If you are free Monday evenings, take an hour to read Romans beginning to end and pray about joining this group of wonderful Christian women. The Holy Spirit is our leader. The facilitator is Linda Broderick (518-279-9370). The Monday night Men’s Bible Study group is currently studying Galatians. All men are welcome. For more information, contact Will Asher at 518-279-9491. We will be meeting every Monday from 7 pm to 8:30 pm in the downstairs community room below the Sanctuary. Please see below from Mark Harkness (Missions Partner with Horizons international Student Ministry) and consider whether God may be calling you to participate in this program! One of our Friendship Partners is a coordinator for an international exchange program called STEP (Student Travel and Exchange Program). The program is seeking host families here in the Capital District for exchange students from Spain from July 3-28, 2018. The students are age 14-17 and come with their own health insurance and travel documents, spending money, and an eagerness to meet Americans, learn about American culture and practice English with native speakers. The responsibilities of host families are to provide a caring “home away from home” for the students including providing room and board and dropping off students for twice-a-week outings and field trips scheduled during their stay here. The drop-off points are typically Crossgates or Rotterdam Mall. This is a volunteer program, so host families are not compensated, but it is great opportunity to provide a unique experience for a foreign student to experience life in an American family and our way of life.